The Model 82 U.L. offers you the finest in heating systems. 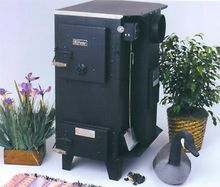 It is very efficient as a primary source for heating homes, garages and workshops.